Who doesn’t love the hazy sky, pretty snow, hot drinks, and cozy sweaters? Ok, may be not for all of us. However, this is by far the most fashionable season for fashion addicts. We get a bit compact in this season, hands in our pockets, long sleeve hoody jackets, high boots, yeah, perfect outfit for this season. With an abundance of hot coffee and cozy clothing it’s pretty enjoyable too. Fashion in winter also steps up a little bit. With a variety of products out there to choose from, we get into a hassle when it comes to fashion, which products we should buy!? What to wear and what not. While we stuck inside avoiding frostbite of the negative temperature outside, it only makes sense thinking all of this. But this is not the same for ecommerce business owners. For them it only makes sense to increase winter sale by editing fashion product images and work on other ecommerce business strategies. So that’s what they do. They figure out ways to sell their products. While there are various marketing strategies to choose from, promoting your items in social media is second to none. And, because it is 2019, we get to see them more than ever. Digital marketing has tremendous effects on directing sale increase in fashion items. Facebook, Instagram, Twitter are some of the hugely popular social media among the masses. So what better ways to take advantage of these platforms other than applying your marketing strategy in there? None can close the gap when it comes to exhibit your product online. Now the big question, how can we take advantage of these platforms through marketing? What should be focused? Glad that you asked. We will go through this by analyzing some basic questions and answering them. So the first question what products are related to fashion or at least can be considered as winter fashion? In fashion, there is no specific mantra to create demands. You can literally turn anything into a fashion product. 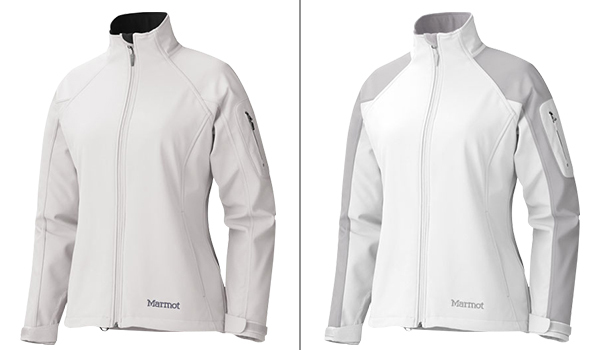 Apparels are not the only thing to consider when it comes to winter fashion. Winter garments especially outerwear like coats, jackets, hats, scarves and gloves or mittens, but also warm underwear like long underwear, union suits, and socks are pretty common. So you can’t create the need for these products, these are already out there. Other than clothing there is also footwear. But again these are also pretty available. There is only one rule in fashion and that is there is no rule. Make your own concept of winter fashion with various products. What about that wallet on the self, can you make use of that and showcase the product as a winter product in a fashion fiesta? And what about that jewelry? The make-ups, all of those skin care solutions? Do you see what are we getting at? See, every effective and creative marketing strategy involves multiple levels of tricks. Consider this, you want to advertise your new line of winter clothing. So you decided to hire a model to pose for your products and the photographer did the rest of the work. Then you did the marketing in accordance. In effect, you noticed not only your clothing got sold but also the sale of your jewelry and shoes went up. So, what went right? When the model was getting prepared for the shoot, the photographer did some improvisation. S/he took the time to give a makeover to the model. S/he intentionally put some of your jewelry on her/his body and shoes on his/her feet to go with it. Then he did the photo-shoot in a way that focused on the clothing but left the other two items exposed as well. And in the post processing s/he did some color balance and saturation adjustments to make it more vibrant. So in this process, these two also becomes winter products. So, what are the fashion products for the winter, you ask? Well, surprise us! People love to get surprised in a good way. Don’t be conventional, your audacity to make your own concept of fashion is exactly the thing that we need to break our stereotypes. Now, let’s talk about the full concept behind what your photographer did back there with the image and how many ways he can do that. Post Production. Photography post production is where all the magic happen. In photography, especially ecommerce product photography, post-production is as important as the photography itself. No matter how perfectly you take the picture and all the modification that you want to do, comes down to post production to make your vision a reality. After taking a picture, product photographers concentrate on the photo by adjusting the color, pull the details from the shadows, and turn the highlights up or down, mid-tones and the natural shadows in post production software. If you are thinking, it’s getting complicated, well, I don’t blame you. Photography post processing work sure is a hectic process. For a professional product photographer, his/her prime concern should be taking the perfect snap of every photo that S/he wants to take. See, here is the catch, when modifying images, we need to focus on two fundamental questions. What we actually want to show to our customers? And how we want to? Then we do the modification based on that. Just like before when your photographer did the trick, he actually created something new from the very ordinary. Here is the simple thing that your photographer did. S/he modified the overall structure of the product image in a way that focused the main product but also created the want for other two as well. In that process, the photographer actually created the demand for jewelry and shoes at the same time using the model to attract the possible buyer. What he has actually implied through his/her photographs is this message: “look, how this clothing goes well with this particular piece of jewelry and shoes”. And that actually worked. This strategy has been working well for a long time. This is the process of creating demands by modifying want or need. And we do that by manipulating the image with different process (which we will cover shortly). There are so many ways it can be done, based on what we want to show. Suppose, you want to showcase your new summer collections with a model. After taking all the snap at the studio we can now proceed for post processing (considering we only took the product photos). Now, in post processing, we can remove the background and change it to give it a more subtle look of a summer day or evening or a beach. Then in accordance with the surroundings we will also color correct the product image, change the temperature of our image and adjust the shadows, highlights to make it more vibrant and realistic and also to make this the center of the focus. Then, with creative photo manipulation, we can do a couple of things here, considering we have taken the photographs with multiple accessories like sunglasses, bracelets, jewelries, colognes, shoes and sandals, side bags or vanity bags, sometimes household items and furniture also can hit the mark. We can now focus on this accessories or products how it appears, how is it related to the product for the fashionista. This is just one of many, there are n numerous ways you can modify your products with different accessories and goodies. For ecommerce product photo modification, it just simply depends on the presentation idea. For the last few decades, online shopping experience has grown exponentially. Customers now expect a quality online shopping experience. Since they can’t actually touch or feel the products and merchandise, the quality of image plays a vital part in helping customers decide if the product is right for them. If a website is poorly conceived with ecommerce product images and poorly designed it will yield a poor result. To satisfy the demand of the customer’s base, merchants must meet the following attributes. All this requirement specifically points to one thing, image quality and how it’s being presented. So, Quality of product images matters. Product presentation is the key to increase customer loyalty and generate a sale. There are two things to consider when posting images online. Consistency and quality. Other than quality product image, you can also get a hassle-free online retailing experience from the service provider as some of the ecommerce websites like Amazon do have their rules and regulations or requirement for the product photo. It will be easier if you consult an image editing service provider as they are more experienced and familiar with those rules and requirement. It will save you money and time in the long run. As mentioned above, enhancing a photograph can directly affect your product sale increase. And ecommerce involving fashion products businesses are more prone to this services than any other businesses since 100% of their work involves some kind of photo manipulation. And as there are no other ways to exhibit their products other than showing the product images, it is very important for the product photo to be high in quality. The growth of ecommerce businesses reached a new height. The reason that it has grown this far is its flexibility. People can choose their product from the comfort of their home. They can compare products side by side and if the product satisfies their need they can just place an order with just a few clicks. When shopping online, you can’t actually touch or feel the products presence in your hand, the only thing that customers get is the image of the product and it should be high in quality. Only then you would be able to clearly analyze the product material by zooming in or out. That is why for ecommerce businesses, quality of the product image is as important as the product itself, if not more. 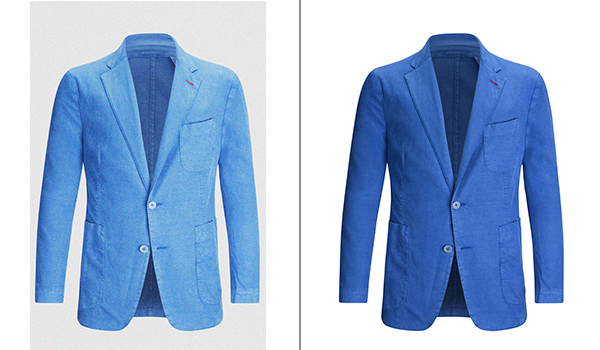 Hence, ecommerce business photo editing services are absolutely necessary. There are lots of different image editing processes that can be applied to an image. Depending on the need, we decide what to do with the image. Sometimes a mixture of processes is needed to get the desired result. Here are some of the basics yet very significant image manipulation process that is required to modify the image according to our need. 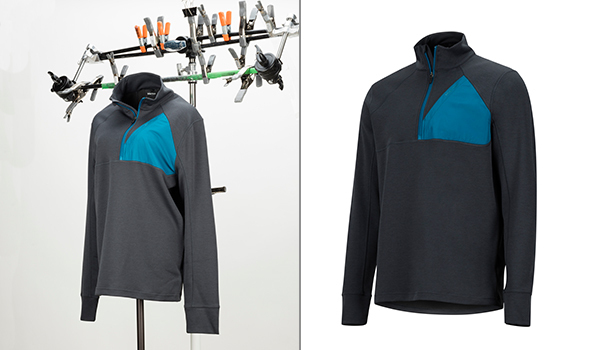 Color correction of garment items are very important. As far as the look is concerned, this is the single most important task that can make a huge difference in terms of quality and appeal. Especially in digital photography, when a photograph is taken, more than often the color of the photo doesn’t match the reality. Sometimes it’s overexposed, sometimes underexposed. If there is not enough light then it turns dull. From time to time, depending on the camera settings, the temperature of the photographs go sideways either worm or cool. For all these reasons the color of a photograph get distorted. That’s why we need color correction in post processing. There are many ways to color correct an image. Clipping path for color correction is a proven technique if you want to color correct different parts of the image. It’s up to the editor which method he/she will choose to get the perfect result. Background removal is particularly important for professional uses. In product photography background of the product needs to be neutral so that it can be changed accordingly. In order to save time and money merchants are often used to take the product photos indoors, with lots of distracting background objects. Exhibiting the products in that way is critical to the business. That’s why it is crucial to extract the product from the background. In a lot of ways, we can achieve that. Using clipping path for background removing is the most effective technique. 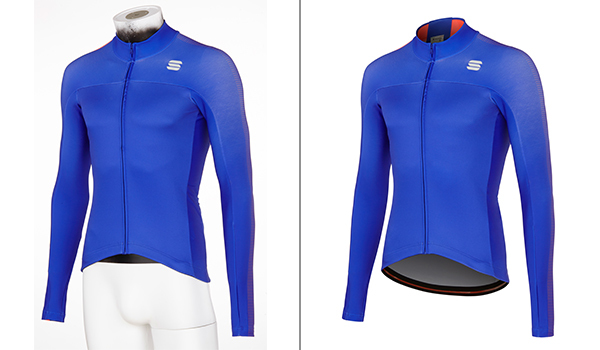 In the process, we apply clipping path around the edges of the product. Then simply extract the subject into a white background or any colored background you like. But more complex photos with a soft edge like furry products (blanket, furry animal), human hair, transparent object (glass) etc. we can use different image masking techniques to remove the background. Then it will be suitable for advertising on social media and ecommerce businesses. Ecommerce businesses involving various garment items are very susceptible to this service. Among all those ecommerce business photo editing services this one is most demandable. In these kinds of ecommerce businesses mannequins are used instead of human so that we can get the 3D effect of these items like shirts, pant, trousers, jacket, cardigan, swimsuits, lingerie, etc. in a more cost-effective way. Then in the editing process, editors remove the mannequin using a clipping path and different masking technique to give it a more ghostly look. Sometimes it’s also referred to as invisible mannequin effect. If you are an ecommerce business owner it is indispensable to keep the cost in check. And to do that photographers are often asked to avoid more cost affected approach like avoiding transparent mannequins to get the job done. That’s why photographers totally rely on clipping path for ghost mannequin in post processing to remove the mannequin and give it a 3D look. In this technique, photographers take photos from a various different angle, and at the same time shoot the neck, bottom, inner parts, and sleeves separately then in the post processing editors remove the mannequin and studio background from the photos, thus giving it a hollow man effect. In addition to this neck joint technique, photo editing service providers also work on a various area of the photos to make it look more lucrative by enhancing the color and removing bad wrinkle, dust, spots and dump from the photos. There are times when, after taking the photographs, ecommerce product photographers are not satisfied with the results or just simply too lazy to do the extra work. Every so often photos get deformed by the angle or the proportion. From time to time, it gets blurry also and all sorts of problems keep happening. Whether it is old photos, vintage photos, damaged photos, blurred photos, photo with abnormal exposures, lost pixels or any other deformity, or image color restoration, photo editing service providers have the team and sophisticated technology to restore them by modifying the different aspects of the photo with high-quality restoration service. This is how we can create demands for the old, vintage photos and invent new trends. In an outdoor photography if lighting is not balanced then the outcome of the photograph becomes somewhat dull and uninteresting. Same goes for indoor photography too. But photographs fall flat not only just for lighting but also for bad skills, lenses, dust, unwanted objects, blurry snap, cheap camera gears, etc. Despite these shortcomings everything can be adjusted in digital photo retouching services and can be turned in to a masterpiece. In winter, photo retouching is particularly important as it involves live models. In portrait photography and fashion photo editing natural results from cameras right out of the bat are not enough for what we are looking for. So polishing is crucial for achieving the desired results. In this kind of photographs, editors emphasized specific parts of the body, for instance, eyes and its color, plays a huge role when it comes to catching the attractions. So to make it as tempting as possible, retouching is indispensable. Glamour retouching or fashion model retouching is particularly important in areas involving advertising related businesses like advertising firm, ecommerce, and garments. Sometimes it’s efficient to use virtual make up rather than appointing fully subsidized makeup artists and equipment. Not only it will keep the budget in check but also will be less time consuming. In this kind of retouching service, designers give the model a full makeover. Skin tone, Skin smoothing, Color balance, Hair shine, Teeth, lips, etc. are the main focus of this kind of editing. In magazine covers and fashion modeling, it’s pivotal to make the aesthetics of the face and the body as flawless as possible. Sometimes skin tone needs to be perfect and sometimes it’s the blemishes and the wrinkles, acne that needs to go away but yet retain the original size and resolution of the image. No pixel should be harmed, that’s the rule in high-end photo retouching. To do that designers use powerful tools in Photoshop such as healing brush tool, spot removal tool, masking and so many more with the combination of one or many. In two dimensional plane, the visual would fall flat without the shadow because it’s the main component of a photograph which creates the illusion of third dimension by creating the depth. Ecommerce, advertising agencies, websites, product catalogs, brochures, print media & magazine ads, etc. are some of the sectors that are highly dependent on photography and in photography shadow is kind of a big deal as important as the photo itself. In Photoshop designers use different methods to retain the shadow or create it completely from scratch. With the help of different blending option and masking in Photoshop, designers get to retain the original shadow of the product. Different techniques are used to manipulate the shadow based on what we are working with and what’s needed. These are some of the image manipulation processes that we can apply to enhance the attractiveness of the fashion products. The best image editing service companies know how the online businesses work. They have an extensive knowledge of each and every online business sector. Based on the business, companies all over the world have a different representation of their idea to sell things online or advertising. Most Image editing service providers are often specialized in those kinds of business and their needs and requirements. Most of this service provider has a big team of talented graphic designers who are well capable of providing enchanting edits with creativity. And as a team, they are very efficient too. Professional images with well-varnished edits capture authenticity. Photographs are not only used to show your visitors what you have to offer but also make them act on it. People are no longer just surf the web and visit for the sake of visiting, they want the experience. So what better ways other than consulting a specialist who has a vast area of knowledge on user experience and interaction. Ecommerce websites have rules and regulation when it comes to uploading product images to their site. It’s all about the measurement. Resolution, size, variation, etc. so it can be a bit of hassle to do this, especially if you have a bulk of products to sell. In this case, an image editing service provider can be a lifesaver as they are already familiar and experienced with those rules and regulations. If you are a full stack businessman, want to fully focus on your business and its growth and don’t want to spend extra backs on fully subsidized studio photography, high time that you find the best photo editing service provider for your product photography. Doing so gives you relief from the professional grade photo shoot. Just take a couple of snap of your products in front of a white colored background and you are done. Image editors will do the rest for you. First visual creates a significant impact on our mind since the first impression lasts the most. And as first impressions are formed within seconds and since most of the information we consume and interpret is visual, quality design can make your site and your brand stick in the viewer’s mind as professional and credible. Thus it signifies the importance of image editing services for every online business and this way you can increase ecommerce business profit by photo editing. We at Color Experts International, Inc. know the value and the importance that it carries when it comes to deliver the best result and how it can create a significant effect on the growth of your business. We are more value driven than just deliver the result. We just don’t get rid of our clients, we ensure a great deal of credibility and tenacity. At Color Experts International, Inc. we nurture our value and beliefs that strongly represents our culture. The culture, which we have built over the last 30 years. The culture, that serves us well and our valued customers. We have served more than thousands of clients all over the world. That gave us the confidence to raise our voice to the most competitive sectors of the world. We have worked with worlds renowned brands like Puma and Adidas. Finished over 75,000+ projects in total. In Color Experts International, Inc. we have a team of highly deft graphic designers who are very intuitive in their work. We have worked for world famous magazines, fashion houses, ecommerce websites, advertisement agencies, products and model photographers and so on to provide image masking services. Our inventory of designers uses sophisticated technology like pen tablet (wacom) to achieve the most detailed results. We are very efficient when it comes to deliver our results. We have achieved a turnaround time of 24 hrs and capable of producing 5000 professional photo edits in a day. Our 24/7 support is also best in class and will help you get you through the process and get the job done. Our highly secure and easy to use file transfer protocol ensures the safest image file transfer with no hassle. Our foundation is created upon trusts, trusts that we have gained from our valued clients. And we are highly committed to act on that credence. How our clients get benefitted? We thrive on our consistency. Consistency on delivering the best service at a very competitive price range. With various benefits for our clients in mind, we created different package. We are offering up to 50% discount on bulk photo editing services. If you are in rush we also have rush delivery service. We have achieved a remarkable feat of 24hrs turnaround time. We are committed to deliver quality services no matter how rush the service is, we have zero tolerance for compromising quality. We can deliver 5000 images per day so that you don’t have to bear the hassle. With cutting edge technology and highly secured file transfer service your safety is our top most priority. We have also various different cost saving services. With more than 300 expert graphic designers in house we are highly confident about delivering the result that is expected. More than anything that we can offer to our clients is uncompromising quality and consistency. For us, this is the single most important thing that maintains the trust with our customers. This is what makes us who we are today. At Color Experts International, Inc. we have more than 30 years of experience in professional photo editing sector, we have been providing all types of graphics editing and manipulating services. Our service area includes image background removing, clipping path, image restoration, image retouching, color correction, raster to vector conversion, ghost mannequin service, creative image manipulation and creative image enhancing services, and many more. We have worldwide clients from all sectors such as photographers, ecommerce business owners, advertising companies and agencies, corporate companies, famous magazine and newspaper, and the like. Our clients are satisfied with having professional quality photo editing and retouching services overnight. We have our own production house enriched with all types of modern photo editing technology. Our graphic designers and vector artists are skilled, experienced, and aware of fast turnaround time. For providing any solution any time, our customer care unit is always ready to help you 24/7 days. So, if you need quality photo editing services overnight, feel free to contact us at once. You can judge our service quality taking our Free Trial services up to 2 images or for rush services, take price quotation.